soap, originally uploaded by jahansell. Just because the ground is frozen, doesn't mean that local farmers like Kathy Blackshaw, who raises bees along with her cows, sheep and chickens, has nothing to offer. 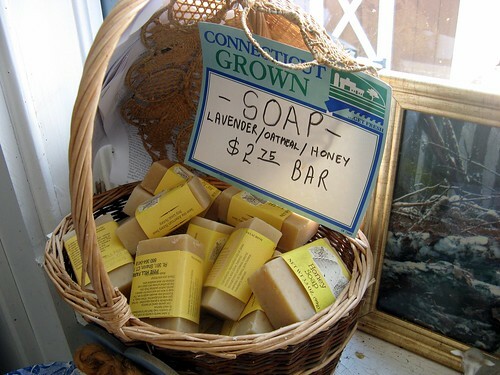 This soap smells divine, and it makes your skin so soft!